I fell in love with Edinburgh the first time I visited – which is why I will soon be returning back again for my 4th time. Wandering down the narrow cobblestone alleys of the city feels like squeezing through the aisles of an old bookshop and the stately Georgian and medieval buildings tell countless stories of Scottish history. 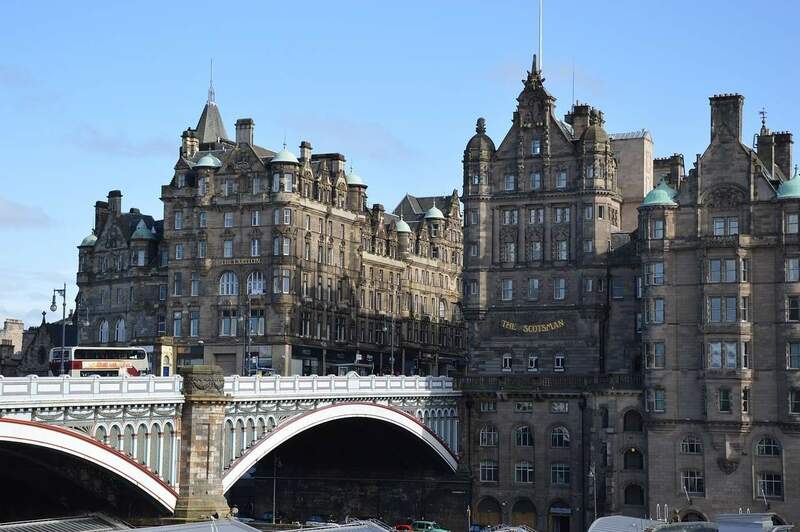 When you peek into the corners of this city and spend time exploring deeper, you are rewarded with the uncanny sensation of being transported back in time, diving into Edinburgh’s rich past. The best time to visit is during August, when the famous Edinburgh Fringe Festival transforms the city into a smorgasbord of entertainment. 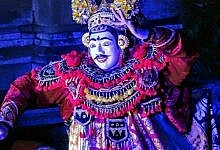 On any given day during the entire month there will be shows to choose from all over the city – from circus performances to stand up comedy to musicals and much more. One of the only downsides of visiting Edinburgh is that it can be a pricey destination – especially during the peak summer months. 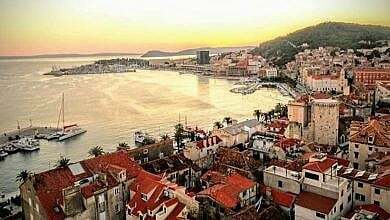 It is cheaper than London, but the costs can still add up. 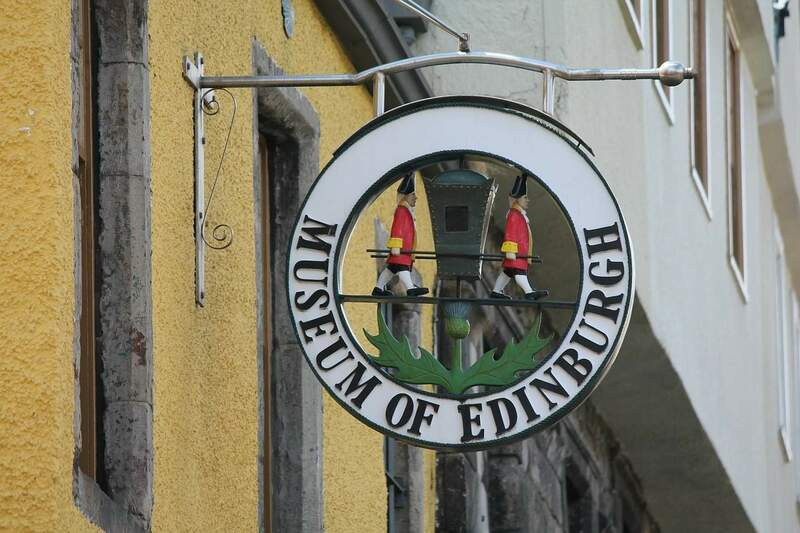 However, if you are visiting Edinburgh on a shoestring, there are still plenty of attractions you can check out. 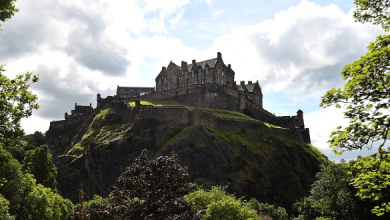 In order to make your Edinburgh adventures more affordable it helps to mix some free activities into your travel plans. If you are backpacking around the UK on a budget, here are some fun things to do that will not require you spending any of those cool Scottish pounds. 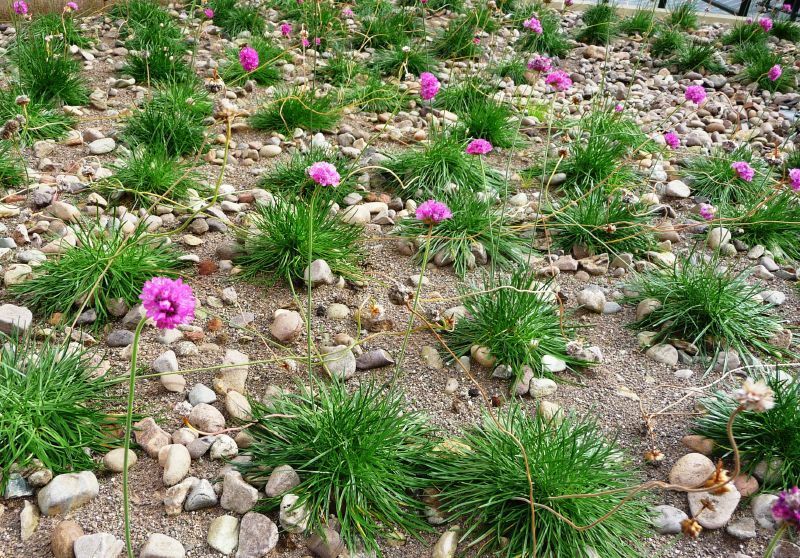 Don’t worry – this hill isn’t too challenging and you can tackle it even if you are feeling a bit hungover from enjoying the Edinburgh nightlife. 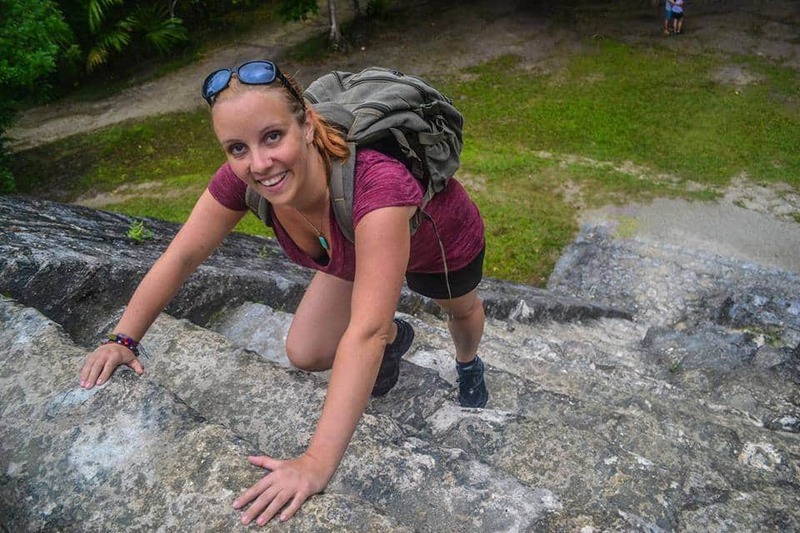 It only takes about 5-10 minutes to climb and the view that you can enjoy at the top is well worth it. Set right within the city centre, it is unmistakable – the Athenian style acropolis pokes above the skyline.It is one of the oldest parks in the country and locals have loved to gaze over the city from this vantage point since 1724. It’s a great spot to watch the sunset and climbing it doesn’t cost a thing. 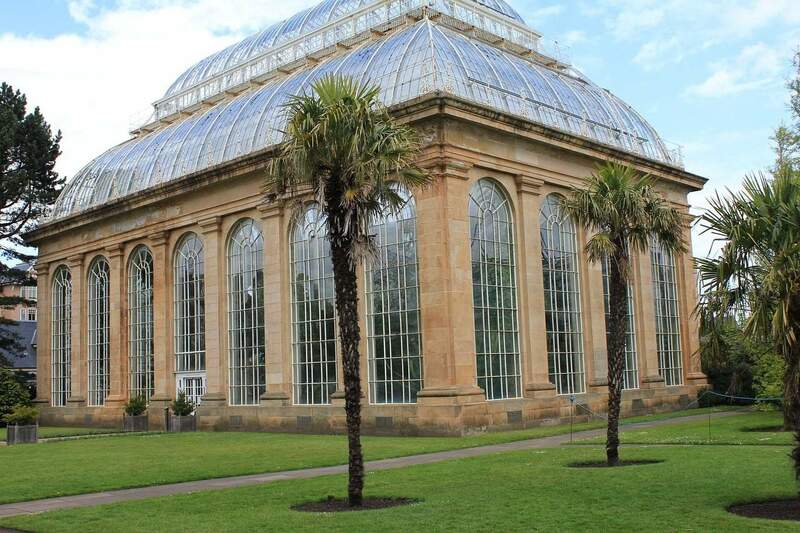 If you want to escape from the crowds for a moment of quiet, the Royal Botanic Garden is a tranquil spot not too far from the city. The air is fresh, the birds are singing and you’ll always find something blooming – especially in the spring when the rhododendrons are in full splendor. These gardens are especially spectacular in autumn, when the trees transition like a traffic light from green to yellow to red. Why not bring a picnic lunch and relax for a while? 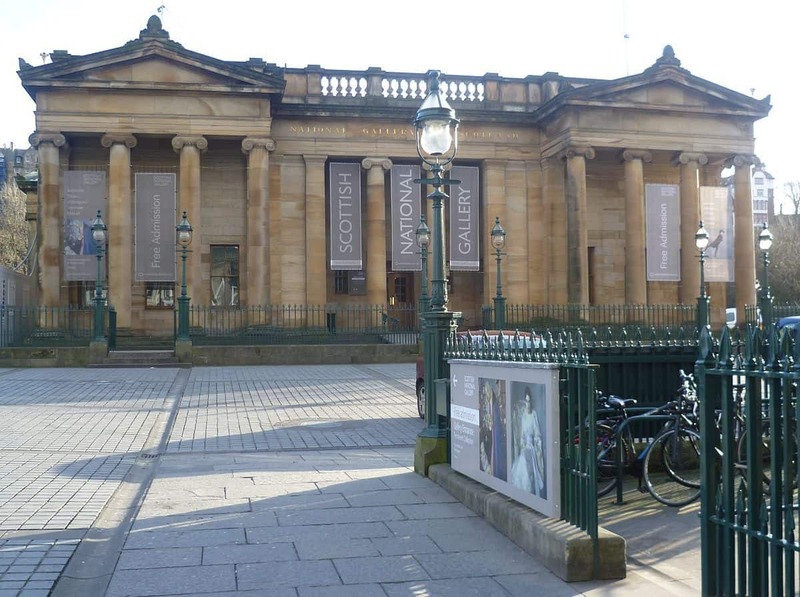 Next to beautiful Princes Street Gardens you will find the National Gallery, a collection of art housed within a stunning neoclassical building. 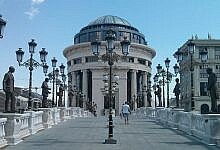 You can spend hours here admiring the displays of European artworks from the 14th-18th centuries. The gallery showcases some of the greatest art in the world, including masterpieces by Rembrandt, Raphael, Botticelli, Vermeer, Constable, Monet, Van Gogh and many more. Admission is free and it is open everyday from 10am until 5pm. In this treasure trove of history you will find hundreds of artifacts and other items stretching back to the time of the Picts in Scotland. One side of the museum contains historical displays and the other side is a fun and interactive science museum for curious little ones. The museum is huge enough that you can spend a full day exploring it and it’s completely free to enter. 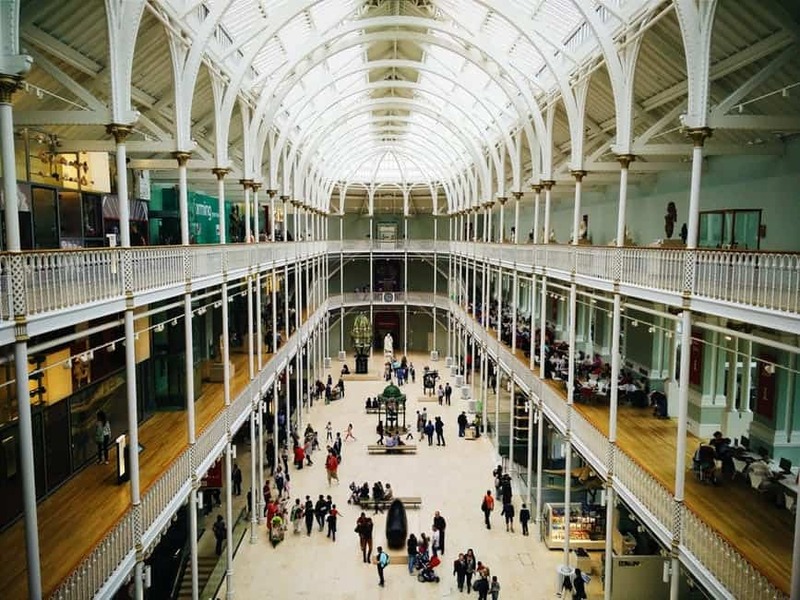 Plus, there’s a little secret about the National Museum of Scotland – the views from the roof are some of the best in the city. 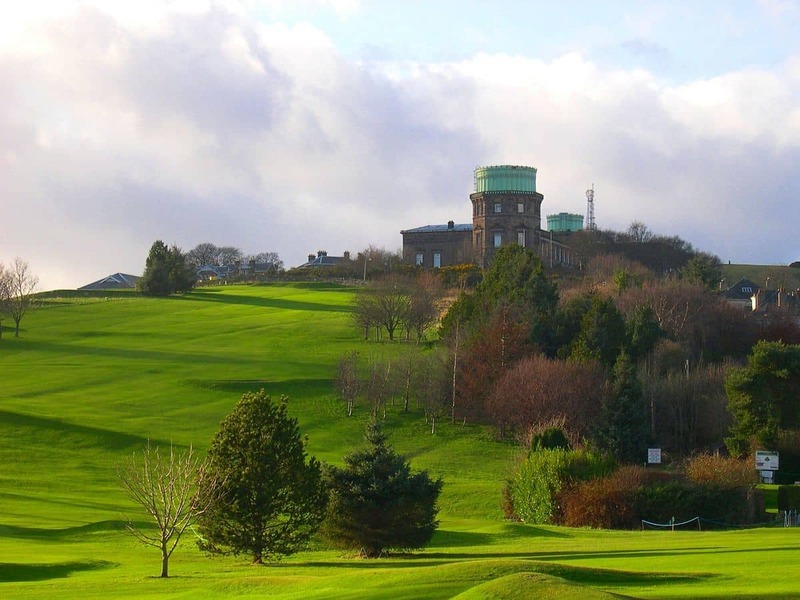 The hill has gorgeous clear views over Edinburgh to the north, as well as the Pentland Hills to the south. There is a delightful walk that will take you through the wooded nature reserve of the Hermitage of Braid, with an ascent over Blackford Hill. On the summit of the hill you will find an ancient hill fort, which was obviously placed here because it was such an excellent vantage point. This park is now one of the biggest and loveliest open spaces controlled by Edinburgh Council – a huge slice of countryside right in the middle of the city and an important part of Edinburgh’s heritage. Take the Water of Leith Walkway, which is a tranquil path and cycle track that snakes for 12 miles through the heart of Edinburgh. 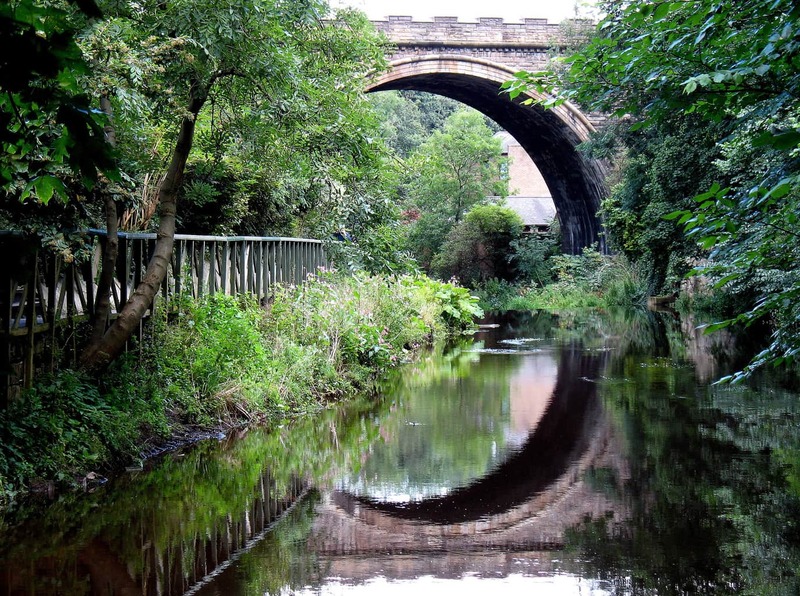 This natural scenic trail will take you through Saughton Winter Gardens, Colinton Village and Dell, the Union Canal, the Scottish Gallery of Modern Art and the Royal Botanic Garden. You’ll walk through the lovely Dean Village area of Edinburgh and end your journey at the docks of Leith. 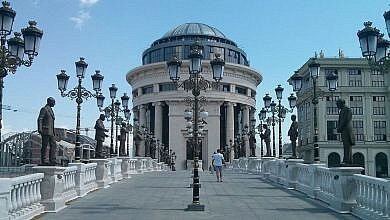 Of course, since the walkway winds through the heart of the city you don’t have to do the entire 12 mile walk. You can choose to join the trail and leave it at many places up and down the river. Arthur’s Seat is not a seat at all, it is an ancient volcano that you can see from almost any vantage point in Edinburgh. 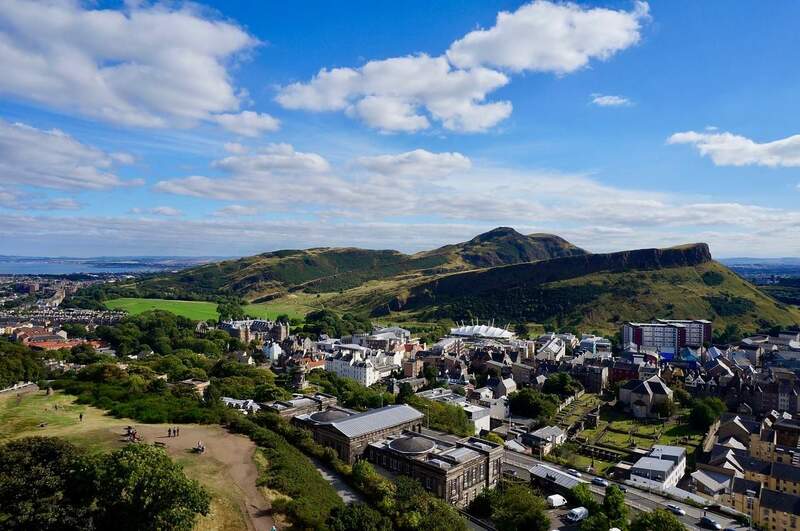 Climbing up this hill will bring you stunning 360 degree views of Edinburgh and its surroundings- including Edinburgh Castle a mile away. Sitting 251 m above sea level, it is also the site of a well preserved hill fort dating from around 2,000 years ago. There are a few options for reaching the summit. 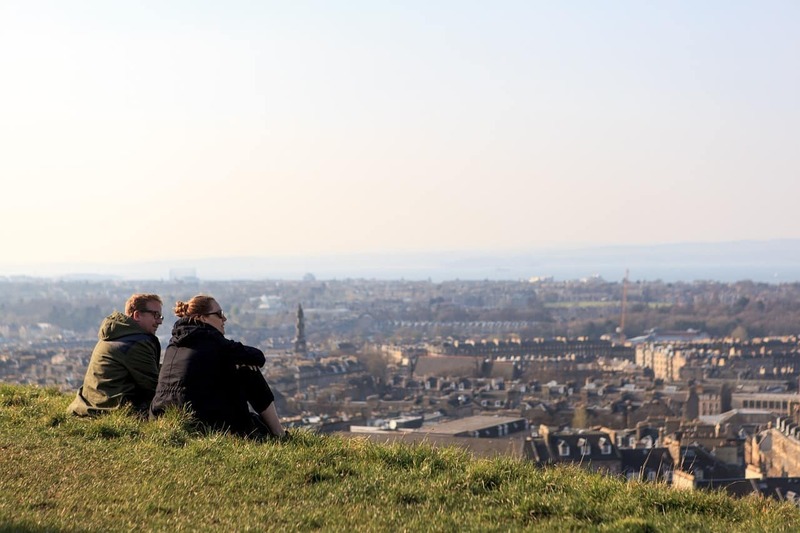 You can take an easy walk with views over Edinburgh and stroll along the Salisbury Crags, or you can take a more dramatic and strenuous climb up the hill. Either way, it’s a great way to get some exercise and enjoy a great view. Across the road from the National Museum, you’ll see a little dog statue poised expectantly, as if he is forever waiting for his master to return. 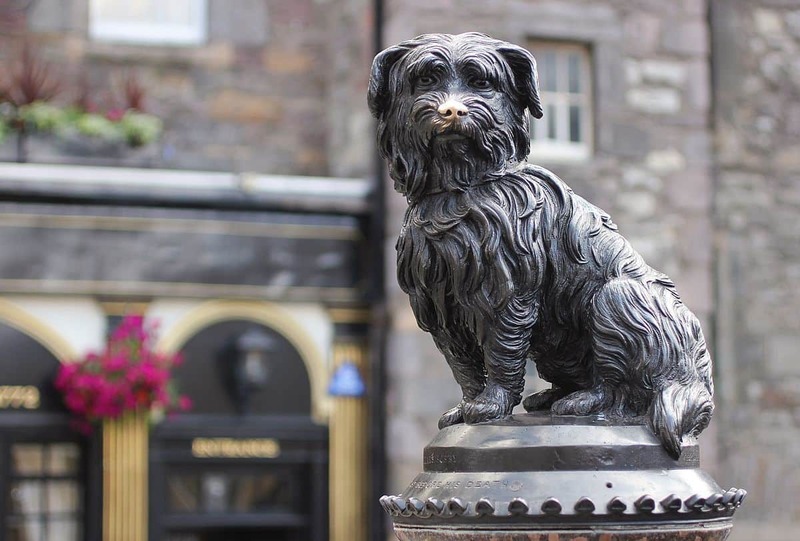 The story of Greyfriars Bobby is a heartbreaking one. He was a Skye Terrier dog whose owner was buried in the Greyfriars Kirkyard cemetery. The faithful dog didn’t ever want to leave his master and spent 14 years guarding his grave, no matter what the weather, until he finally passed away. He was buried within the gates with his owner, which was a huge honour at the time as animals were not supposed to be buried in human graveyards. This atmospheric graveyard is beautiful and certainly worth wandering through. Look closely at the tombstones, it is said that J.K. Rowling got the inspiration for some of the names of the characters in Harry Potter from the headstones here. Also known as the High Kirk of Edinburgh, this is the place of worship of the Church of Scotland. It’s hard to miss the distinctive crown steeple, a prominent feature of the city skyline. It has been one of the most important religious buildings in Edinburgh for the last 900 years. 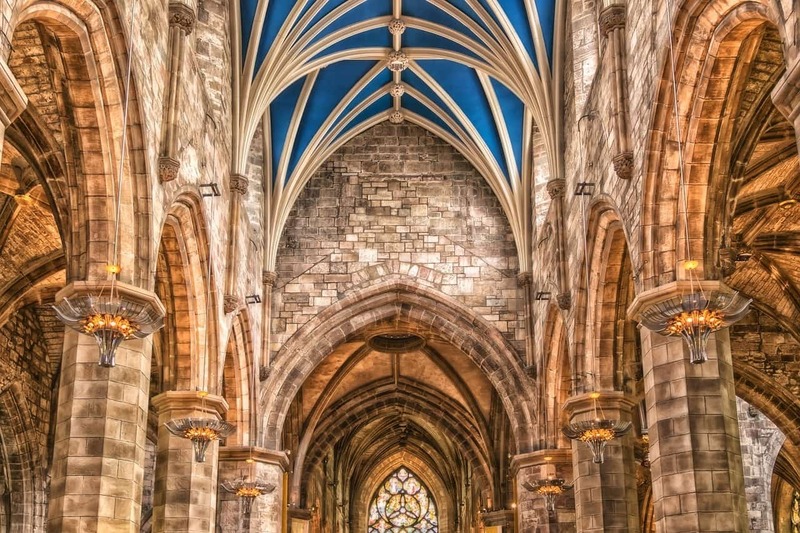 Step inside and see the incredible stained glass and detailed carvings and look for the angels playing the bagpipes carved in the Thistle Chapel. Also, be sure to take a look at the stained glass window that depicts themes from the poetry of Robert Burns and the bronze memorial to the Scottish writer Robert Louis Stevenson. The new Scottish Parliament opened in 2004. The unique abstract design of the building has caused a lot of controversy – some love it and some hate it. 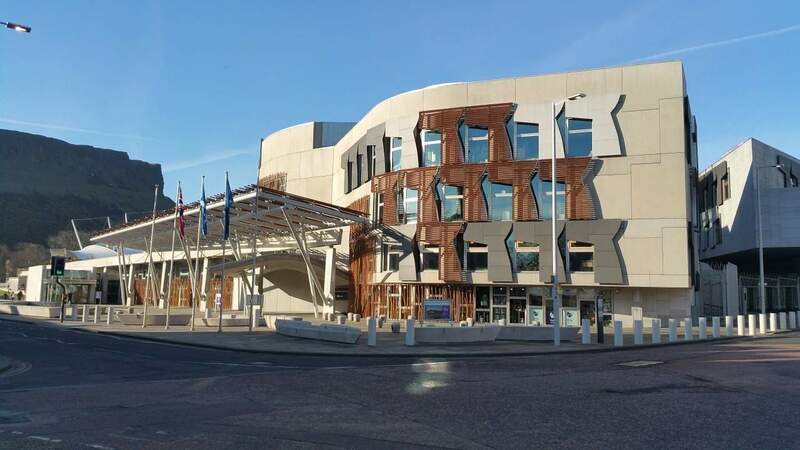 Take a look for yourself and see what you think, then sign up for a guided tour to learn about how Scottish parliament is conducted. 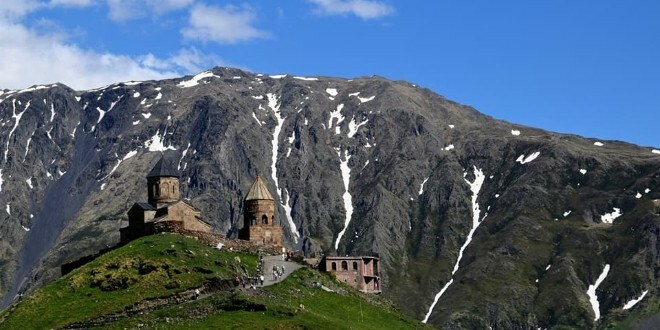 All visits are free of charge and advanced booking is recommended for guided tours. 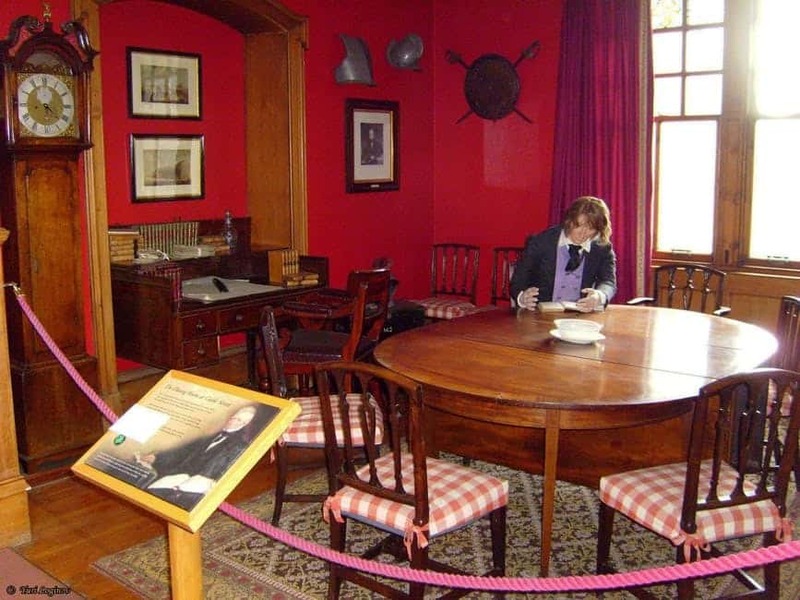 This museum gives an insight into the lives of three of Scotland’s most famous writers – Walter Scott, Robert Burns and Robert Louis Stevenson. It includes an intriguing collection of personal objects, works and portraits. It can be found tucked away in a quiet close just off the Royal Mile. 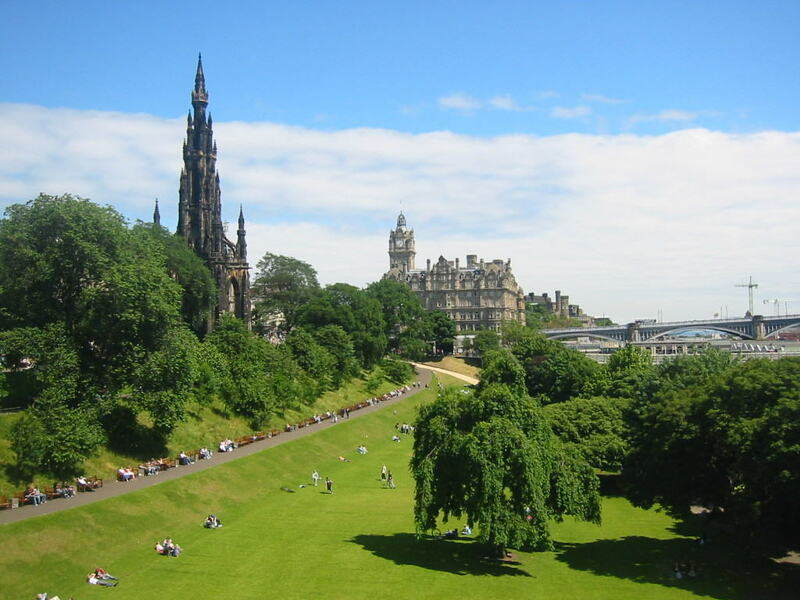 Princes Street Gardens is a peaceful oasis, right in the heart of the city. If you visit during the summer months, the rolling grassy slopes will be covered with visitors and locals kicking back in the sunshine. If you want a break from walking around the city, you can grab a snack and settle down in the grass. This peaceful courtyard tucked between the New Register House and General Register House is filled with scarlet rowan berries, bright blue agapanthus, yellow St. John’s Wort and over 50 other plant species – all connected somehow to Scotland’s history, folklore and myth. Every plant here has a story, whether is is association with a famous Scot or represents a clan or a tartan. It is a lovely place to sit for a while, have a cup of tea and do some research on your Scottish heritage at the National Archives for Scotland. In the eye-catching bright yellow 16th century Huntly House, the Museum of Edinburgh is a great place to learn about the history of this city. You can see many interesting artefacts, including a collar and bowl that once belonged to the famous dog Greyfriars Bobby, the National Covenant of 1638 (with some of the signatures written in blood) and the original plans for the New Town designed by James Craig. Be sure to head through to the back of the museum and find the outdoor courtyard – it is peaceful, relaxing and features some fascinating artefacts that date back to the 16th century. The Royal Mile is one of the most famous streets in Edinburgh. It stretches from the old town all the way from Edinburgh Castle to Holyrood Place. 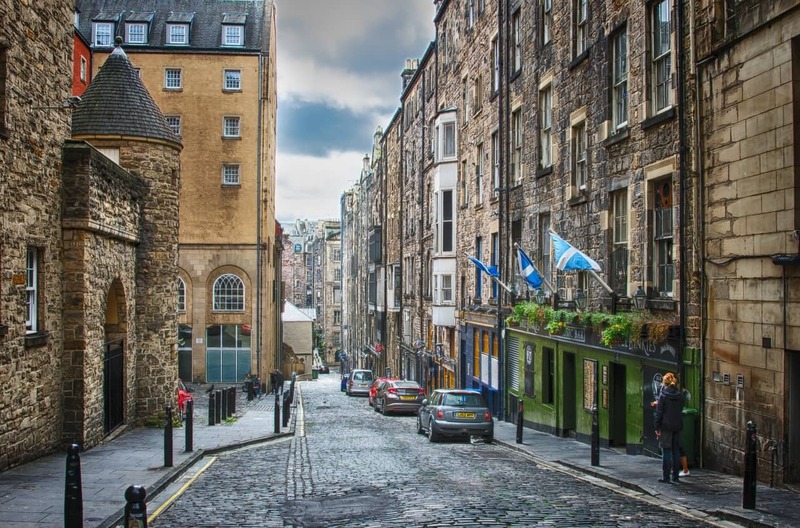 Strolling down this wide street with it’s elegant historic buildings is a treat any time of year, but in August it is the main hub of activity for the Fringe Festival and it will be buzzing with live street performances. 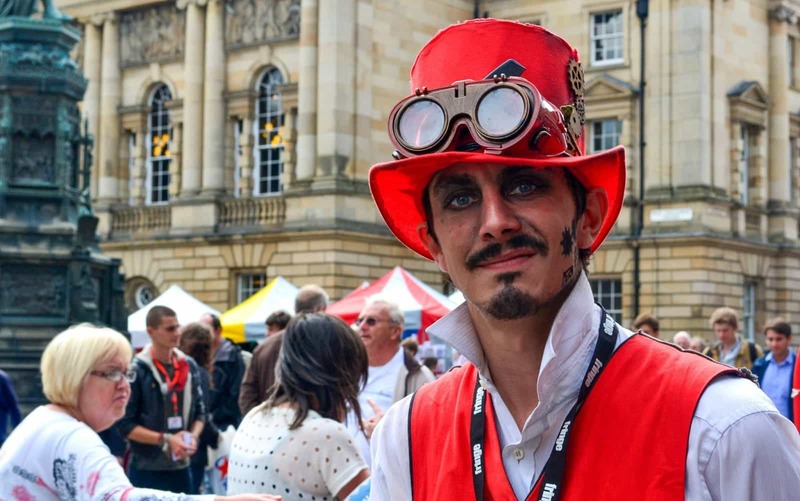 Heading to the Edinburgh Fringe Festival? Here’s 15 Things You Need to Know Before You Go. 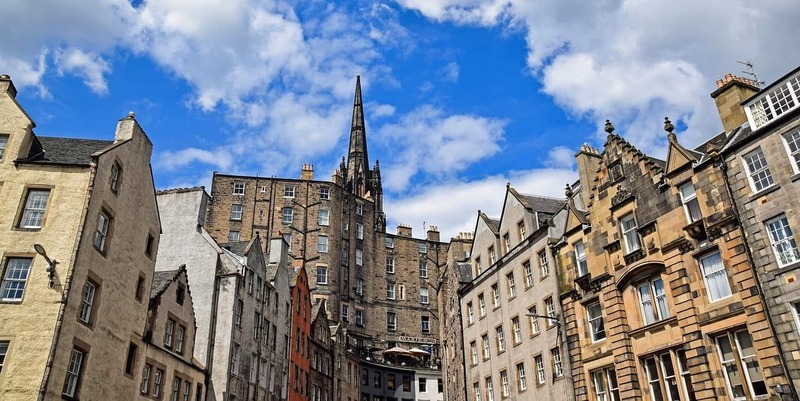 One of the best ways to enjoy Edinburgh and learn about its multi layered past is to take a free walking tour, which are offered by several different local companies. 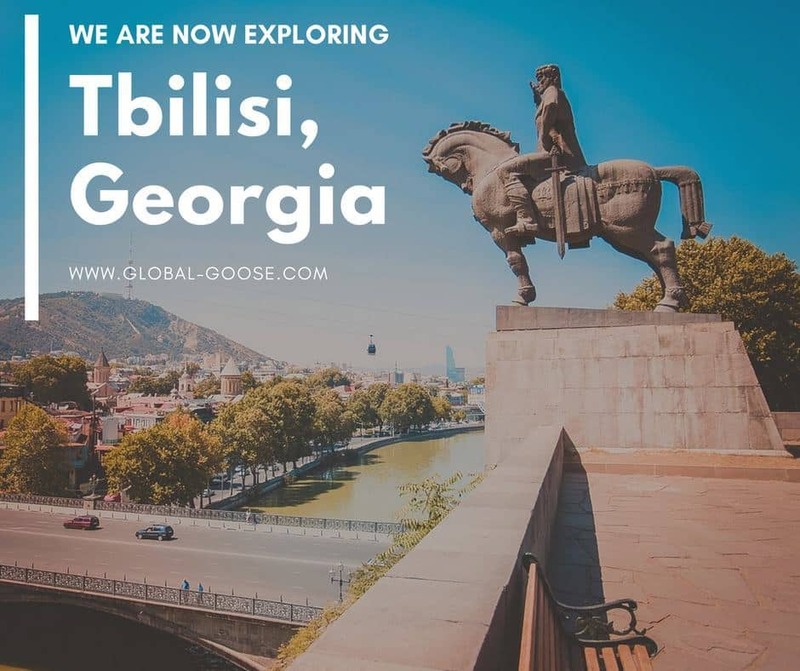 Of course, although these tours are technically free – if you stick around for the full tour and you enjoyed yourself, it is customary to give your tour guide a tip. However, it is still much more affordable than hiring a tour guide for the day! When I was in Edinburgh I took a free tour with Sandemans New Edinburgh and I really enjoyed it. My tour guide was friendly and funny and told lots of great stories about the history of the city. You don’t have to spend a fortune to have a good time in Edinburgh – there are a lot of interesting and beautiful places throughout the city that are completely free to enjoy.